Readers will recall that in my previous article I discussed how kata comprise what I call "stem cell movements" - ie. movements of a "elemental" or "fundamental" nature, capable of morphing into any number of different applications. In fact, this is the very essence of kata: to give you a foundation of essential motor learning and kinaesthesia. I also argued that how these movements "morph" depends largely upon the experience and skill of the student. In this article I would like to give some concrete examples of exactly what I meant. Once again, I will be referring to the kata heian shodan (pinan nidan) to illustrate my points precisely because it is a "basic" kata - ie. one that is "easier for beginners to learn" and/or "depends less on previously acquired knowledge". While it might appear to the casual observer to be overly "formal" and "unrealistic", this is precisely because it teaches more elemental or fundamental movements - involving gross motor learning that, once acquired, will enable future, more sophisticated, motor learning. If the kata appeared more "realistic" it would be narrowing its focus to more specific applications to exclusion of others covered by the umbrella of the "stem cell movement". In this article I propose to examine just the "entering with a downward block" moves of heian shodan to show how they embody this "stem cell principle" - and how they "morph" to fit the student's skills as they develop over time. I have already mentioned the opening move as being one which facilitates entry into your opponent. But how does this actually work? Clearly you can't just "blunder" into your opponent. 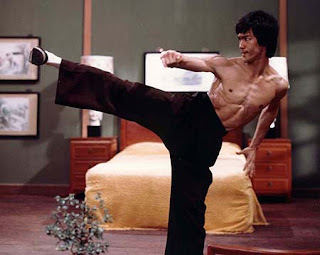 For one thing, it would be lunacy to walk into a roundhouse kick with your forearm meeting your opponent's shin! Rather, as I've previously recounted, details matter. They make the difference between success or failure. If "entry" into a dangerous, "momentum heavy" attack like a kick simply involved the type of step we use in everyday life, we'd all be martial arts masters and without any training. However that is far from the case. 1. First reach in with your foot (without transferring most of your bodyweight). 2. Only then transfer your bodyweight, pivoting to face your opponent as you do so. Why do this? For one simple reason: such "staged entry" provides the quickest method. Your body parts don't all move at equal speeds. The speed of each part depends on factors such as the type of muscle fibre and the number of neurons serving that region. For martial purposes, your hands are going to be the fastest thing you can move - and your legs come in second. Trying to move your trunk/core along with the legs means you'll be slowed down by body parts that aren't quite as fast as your legs. So it is better to accomplish a complex task like this in linked stages. Besides, your trunk moves well enough once acceleration has already begun. The kata of course shows the movement as if your attack has come in from the side, but the truth of the matter is that the attack is more likely to come from the front. What the kata is actually showing you is that by executing your entry almost side-on you can "wedge" your way into the attack. Of course, as I show in the above video, you can (and, in the basic example of a kick, should) execute your "downward block" not against the opponent's shin, but instead against his or her thigh. This becomes a natural option once you execute the "staged" entry to which I refer above for the simple reason that the thigh is at the right height and distance from you as you move in (where you've almost certainly well passed your opponent's shin). The other option is to execute the downward block as both a deflection and simultaneous strike, hitting the groin as you enter. All these things are possible. By leading with the left "block" you can then follow with a right punch (as per the kata, even though it does this part with a step - more on that next time). What you will also note from the above pictures is that, in executing the "staged entry", you also drop the body very quickly. This means that the move doubles as a "duck", evading a powerful cross or hook by moving downwards and inwards. The "block" then functions either as just a strike or as a "back up" block to jam any future attack at the hip (ie. what Marc MacYoung calls "blocking the supply lines"). Either way, you will note that the move is teaching you to occupy the centre line and wedge your way into the attack. Why? Because this is the most effective way of dealing with circular attacks. And circular attacks (be they swinging punches or roundhouse kicks) are the most common attacks you're likely to face. Forget the karate-style straight punches and front kicks, forget Bruce Lee side thrust kicks, forget grappling "shoots", forget boxing jabs... I can tell you as a former prosecutor that most civilian defence scenarios serious enough to see the inside of a court don't involve anything fancy: "someone taking a swing" is mostly what you get. If the fight goes on, the protagonists might get into a clinch and then start to wrestle. But the opening move is almost always a "circular" attack - usually a punch. Of course, what you'll note from the above pictures is that I do not do exactly what the kata does, namely time the block to coincide with the rotation of the hips into the attack. Indeed, you'll see that I've executed the block with the "reach" of my foot while my hip is turned away from the attack (then timed the hip rotation into the attack with the subsequent punch). Why have I done this? Simply because I've chosen to highlight one aspect (the entry as a "wedge") of this "stem cell movement". This use of the hip relative to the block is known as "gyaku kaiten" - turning your hips away from the attack. The other option is known as "jun kaiten" - turning your hips into the attack. This is what the kata shows relative to the block. It is my view that the kata intends to transmit both options. But clearly it can only show one (relative to the block, anyway). So it defaults to the "jun kaiten". Why? Well the simple reason is that this allows the kata to pass through a "gyaku kaiten stage" and a "jun kaiten stage" (remember that the kata teaches you first to reach in, then turn to turn your hips into the attack). This is, I believe, as close as you can get to "showing both in the same move". Given that the kata move chooses to highlight an "entry" rather than "backward evasion", gyaku kaiten must precede any jun kaiten. The reverse is true if you choose to highlight evasive tai sabaki (body movement) - ie. in that case jun kaiten must precede any gyaku kaiten. In this regard, readers might be interested in "fukyugata ni" as practised in our school, the Academy of Traditional Fighting Arts. This kata features "evasive" body movement on a "heian shodan platform". We teach it after our "fukyugata ichi" (ie. the more standard "entering" heian shodan) for the reasons to which I refer in my previous article: beginners start by blundering in; they become wary and start to back away, then later move back to "entering". Everything in its own time! You'll note from this video that I use the kind of "turning evasion" I demonstrate in the preceding photograph. I demonstrate our "fukyugata ni" - which is just heian shodan but with "backwards evasion" rather than "entering" - an exercise that prioritises "jun kaiten" instead of "gyaku kaiten". We teach it after the more standard "entering" version of heian shodan, which we call "fukyugata ichi". From the above you can start to appreciate that without understanding heian shodan as a repository of "stem cell movements" it would be very dangerous to start making any assumptions about its function. And any "modifications" based on such assumptions ultimately just lead to what I have previously called "dilution". Now people have often had a go at me for talking about "dilution". They say I'm being condescending or that I'm placing my own "value judgment" on certain techniques. I don't believe this is strictly the case. I'm not saying "x application is better than y". I'm saying: "Look: this kata has been modified so that only x application remains instead of x, y and z." And I'm also saying that the "change" is made with extra, misconceived, elements thrown in for good measure - elements that conflict with human biomechanics. A modified version of heian shodan that features gyaku kaiten where jun kaiten should be. To me, this is clearly a modification made without full understanding of the biomechanical issues inherent in the kata design. You'll notice that the performer executes a gyaku kaiten in each movement. Clearly the instructor who modified this performance found (as have many karateka) that applying the literal form (entry with a jun kaiten!) is, in fact, impossible. Indeed, the instructor would have noticed that he or she invariably defaulted to gyaku kaiten when "entering". And hence the change was made. This is fine in theory: the "worst" it does is cut down the "morph" options of the kata (ie. you've excluded any jun kaiten applications). The "best" it does is rationalise the form into a more "realistic" form. However the problem is that the modification doesn't stop there. If it simply executed a gyaku kaiten with the "reach/entry" (as I've proposed above) it would be a formidable (albeit very "advanced") way of performing the kata. However it doesn't do that. When I first saw this performance I was a tad mystified. I couldn't even work out what the practitioner was doing. Then I realised: he was throwing his hips one way, then the other. If you examine the opening move in particular, you'll see that the practitioner first turns his hips into the attack, then, just before the block lands, twists his hips back into a gyaku kaiten! I'm sorry: this is just another example of a "hip pre-load" that has been forced into a context where it doesn't fit. If you don't have the time for a jun kaiten (presumably the reason for the modification), then you don't have the time to do both a jun kaiten and a gyaku kaiten in the same space either. You certainly don't need a hip pre-load "for the extra power": the low block in this "entering" sequence is a "wedging deflection" that doesn't require much force. To the extent that you want to add "hip power", you can do so by moving your hips from wherever they happen to be. But your main effort will be to move into your opponent as directly and quickly as possible - to catch him off guard and at the earliest possible point - before he has accelerated. Any attempt to load the hips for "extra power" will just detract from your ability to do so. So the "extra hip turn" is neither necessary nor prudent. In fact, it just doesn't work. Period. It has been added presumably because the literal kata move is not "realistic". It effects a change based on an incomplete understanding of both the biomechanics of this technique and it's purpose as a "stem cell movement. Accordingly it should be apparent from the above that while it might be tempting to modify heian shodan to make it "more realistic", an instructor does so at his or her peril. The kata is quite cleverly designed. Attempts to "make it better" are fraught with pitfalls. And if you proceed to effect such changes to the kata on flawed - or simply incomplete - data, then you've robbed the kata of its main purpose: to provide a lifetime of lessons. The kata can only provide such lessons if we see the movements as "embryonic" rather than "literal"; if we look at the biomechanics inherent in each movement, understanding how and why one might choose to coordinate one's feet, hips and arms and the natural limitations on these imposed by one's tactics (eg. whether one is "entering", "backing away", "standing one's ground" etc.). If we want to explore the permutations of a kata like heian shodan, nothing stops us from making up extra sequences - for occasional practice or even as part of a syllabus. My own experiments in this regard started with this simple question: how would heian shodan look if it featured a retreating evasion rather than entry? It was this question (spurred by specific bunkai taught to me by my instructors) that led to the development of our "fukyugata ni" in the early 90s. This kata only became a grading requirement in addition to our "fukyugata ichi" (ie. heian shodan) in 1997. And you'll note that we have not modified the original kata2. It remains as it is. Because it is one thing to add something. If you're wrong in doing so, you've lost nothing. But if you modify an original kata you run the risk of information loss. Understanding the role of kata as repositories of "stem cell movements" is the first step in protecting arts like karate from such information loss. The hips can and should move to assist a given technique from wherever they happen to be, without extra movement. Whether the hips move into an attack (jun kaiten) or away from an attack (gyaku kaiten) might not be apparent from the kata move (which might be "neutral" - eg. in kata such as seisan where punches etc. are launched from a stationary posture). But to insert both jun and gyaku kaiten into each move is to "hedge your bets" without bothering to analyse which is actually logistically possible. Instead of uncovering these layers of subtlety, the "double hip" just smothers everything in an unholy gyrating mess! 2. We teach our version of "heian shodan" exactly as it was taught to us, however it was modified slightly by my instructors (hence they chose a different name - "fukyugata ichi"). These modifications include the introduction of sanchin dachi in the step through counters (from Nagamine's fukyugata ichi) along with neko ashi dachi and hiki/kake uke instead of kokutsu dachi and shuto uchi at the end. But these modifications don't impact on my present discussion - nor any other "stem cell movement" issues. And I am also quite happy with the reasons for these changes anyway! I've seen an SKI video by Kanazawa-sensei which strongly emphasises that gyaku-kaiten in standing and moving kihon. I've seen people unable to separate the gedan-uke from the hip movement. That's a very limiting habit to instil! Thanks for the input Perry. And I meant, of course, at from 30 to 40 minutes. No worries - saw it anyway. Two very good articles that I feel get to the heart of the purpose of kata. That being said, the way in which I was taught heian shodan begs the opposite approach, and while I can't speak for the practitioner in the video above, it does not IMO involve pre-loading. The way I was taught the form was to turn to face the direction of travel in gyaku kaiten while making the chamber of the block then execute the final technique in jun kaiten on completion of the step. As you suggest this order of technical components leans more towards evasive footwork and entry through slipping although wedging is also covered as both aspects are explored. The way I was taught the turns and the mid points within the steps, where one naturally arrives at a neutral gyaku kaiten position while in transition, is where one makes the technique chambers, which depending on your preference can act as covers as you drive your mass into the target. The first step in the kata is the main ne where the hip movement is obvious because there is no prior flow to create a natural neutral point. Is this a modification from the original? 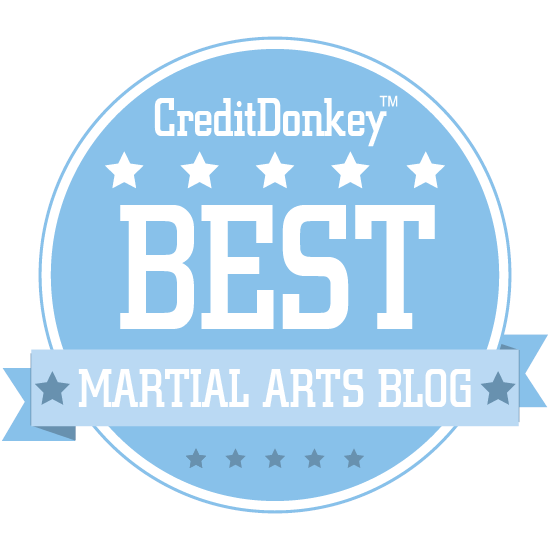 Yes, we know that the mechanics of shotokan were altered, but does it constitute a dilution? Not that I can see. 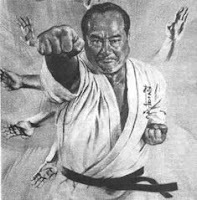 Certainly your description of the principles present mirrors the understanding I have of the kata through the above mechanics. As I said, I can't speak for the performer in the video, but I would imagine he is working from a similar basis. Anyway I am looking forward to the next part, great work as ever. In my video I illustrate the gyaku kaiten for the block, then converting to jun kaiten when executing the punch. The other option is to do the chamber for the block in gyaku kaiten, then execute the block with jun kaiten (which is how you appear to do your kata and how I would interpret the standard kata - which is how I also do it). 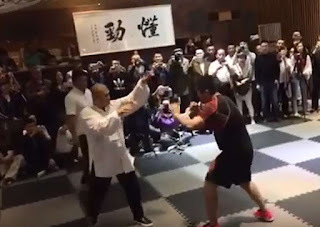 What threw me in the video is that the practitioner had clearly turned his hips to jun kaiten and was facing his attacker moments before finalising his block. Yet at the last second he turned his hips back to gyaku kaiten again! This is nothing if not a double hip: I agree it isn't so visible later, but I've captured the first count in the pictures embedded above evidencing this. To me this "turning your hips in (from sideways) to face your opponent, then turning away a bit just as you block", is an attempt to fit something in which cannot be fitted. Your hips at the start need to corkscrew into the jun kaiten position. You only have one sideways step and your hips will naturally turn into that step. To do a "turn in and turn out again" all in the same space of time is to do a "double hip" - in a technique where there is no time for such a thing. I don't know if this addresses what you mean, but I'm happy to entertain further discussion in case I've misunderstood you or got the wrong end of the stick. But at this stage, I can't see why, if you want to use gyaku kaiten, you wouldn't cut to the chase and finish the block as you reach in and before the jun kaiten turn is even started. Otherwise I suspect you'd be better off stepping off line to effect the gyaku kaiten if you want to use the latter for evasion. I'll cover that in a future article. Thanks for your considered input. Dan, take everything I wrote and reverse the terms. Chamber with hips square to the left, block with hips half facing/turned away from the block, hips return to square on the punch. "Chamber with hips square to the left"
That's my problem. Your hips start facing to the front. To face left means you have to turn them into the attack - head on. (This is jun kaiten - turn no. 1 btw - keep a count.) Have you ever tried this? You'll walk straight into the attack! "block with hips half facing/turned away from the block,"
This is gyaku kaiten - turn no. 2. Your hips were already in gyaku kaiten when you started - except not "half facing" way from the block, but fully. Why try to do an "in and out" when you're already out to begin with? How much time does one have? Realistically - no extra time. You should reach in with your foot and block with your existing kaiten. You neither have the time nor the reason to turn your hips into the attack first. If you doubt me, try it against a hard kicker. I tried it for many years. It just doesn't work. Have the kicker attack you from the side as per the literal kata move and see what happens. Wear pads on your arms and expect to walk right into a nasty mae geri. Let's not even mention a mawashi. "hips return to square on the punch." This is jun kaiten - turn no. 3. This part is fine. It is a shame that your suggested (now common) approach requires two extra hip moves - a double hip - to get to the same point. I know this is "orthodox" in some shotokan schools (eg. SKI) but it wasn't how I was taught in JKA when I first started! I was always taught to reach in - not "fall to the left". I can see how the "half turn away" evolved with the "fall t the left" approach. Try the "reach in" and I'm confident you'll see what I mean. My video demonstrates this (especially towards the start). My latest article on telegraphing (or rather, technique) deals with the time factor btw. You simply can't do that "in and out" thing with your hips if you want to avoid a kick in the guts! We're talking a fairly big move here - not some small "shoulder tell"! Dan, I completely get your point, but it's mooted because the kata is not intended to be applied litterally. You yourself make this poin; it's not very fair to forget it when being literal supports your point. Turning to face the attack is little more than asking a student to face threats and be ready. If you did want to be literal, requires you to change your position and so functions as a slip, supported by the covering and potentially countering action of the chamber. The block then functions as an unbalancing movement followed by a strike or takedown. All that being said in my study the primary lessons of the H1 opening is from a frontal attack which again make use of the change in body angle to gain advantage. Thanks David. I note that my literal jun kaiten kata performance passes through gyaku kaiten first. By contrast, "just dropping into the turn" contains none of this stem cell potential. Accordingly I see the literal kata move as a combination of possibilities for "morphing". Just "dropping into the turn" admits none of these. Could it be a turn to see an out of range attack? Possibly. But karate is geared at melee range awareness (as are all civilian defence arts). And I think turning to face an out of range attack is hardly a martial skill requiring kata training to learn! Thanks again for the thought-provoking discussion! Lol, saying it's not there doesn't make it so. The only way my method can lack the wedge as a potential application is if wedging is impossible if your opponent is in front of you: if it only works to the side. I wasn't suggesting one turns to face a ranged attack, I was saying that no one in their right minds stands side on to an assailant in melee range, so launching 'defenses to the flank is a faulty premise in the first place. I was also suggesting that the important lessons are imo actually based on attacks from the front. For you wedging into an attack is foundational, for me evasive footwork takes priority. "I wasn't suggesting one turns to face a ranged attack, I was saying that no one in their right minds stands side on to an assailant in melee range, so launching 'defenses to the flank is a faulty premise in the first place. I was also suggesting that the important lessons are imo actually based on attacks from the front." I explain in my article and the video that the "side start" is irrelevant and a misnomer. The truth is that you slip sideways into an attack. The attack however most likely comes from the front. The same move could start moving to the front, but it would affect the kata embusen. "For you wedging into an attack is foundational, for me evasive footwork takes priority." I too regard evasive footwork as foundational. That is why we have our "fukyugata ni" - which involves just that, albeit a jun kaiten evasion. And then we have our fukyugata embu - which uses a gyaku kaiten evasion! I presume you mean to apply the latter - a gyaku kaiten evasion. But your proposed half turn happens after the step - it isn't an evasion so much as a hip twist that happens after any step you've made. The step must be part of the evasion imho. You see, I think of the step as part of the technique. I don't see it as a "kamae". No zenkutsu is ever such a "ready posture". It is too committed. So either it is part of an attack or it is part of an evasion. My problem with your suggestion is that the zenkutsu is neither. It is just a "step" and the "action" happens after that (comprising nothing more than a half turn of the hips). This is insufficient to cope with a full power kick in my experience. Thanks again for the interesting discussion. "The attack however most likely comes from the front"
Now I'm just being devil's advocate, bit in application you would use precisely the same mechanics as I do in the form. 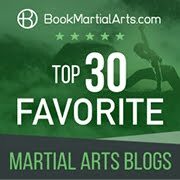 Making your kata less practically and mechanically relevant (since we use different muscles driving sideways compared to going forward) as well as lacking in the evasive principles of the body turn that begin the kata in my method. "But your proposed half turn happens after the step..."
I apologize for any miscommunication but the only thing that happens after the first landing in zenkutsudachi in the standard performance of the kata is the oizuki. Of course timings are adjusted in application, perhaps that is what you were thinking of? 1. A jun kaiten evasion (ie offline with back leg). 2. A gyaku kaiten evasion (ie also offline with back leg). 3. A gyaku kaiten entry (ie online wedging with front leg). In my experience the literal kata move cannot be applied - whether you do it my "composite" or "stem cell" way or the way the fellow I critique does it. If I haven't made it clear why, then I shall have to write another article and film a video to explain myself better. Heian shodan, in yoi, facing north. Begin by turning the body to face the west while making the chamber for a gedan barrai. In freeze-frame, it would look like cat-stance facing west, hips square, torso facing to the west. As the movement continues the hips turn as the step continues. The hips finish facing north-west, their movement powers the block and the technique finishes at the point the foot lands in zenkutsudachi. Like you I view the movements as embryonic points of potential, although it was through a study of Taikyoku Shodan that I qualified the ideas to myself. When I considered the application potential of these movements it began with exploring the change in orientation. It leads into looking at slipping both by opening (stepping back into a side on position against a frontal attack from the north, (the reverse from a side stance) and also by slight latteral shift. This simple body turn also combines with the chamber to provide basic defence against being grasped. Stepping out into the block, though performed to the west it is mechanicaly the same as dealing with an opponent directly in front. This is because I have turned so push forward not sideways. Driving out into a natural stance width gives enough lateral shift to slip an attack, (slipping to the outside covering and striking simultaneously the chamber motion before using the sweep action to drag the opponent off balance), but it is accentuated by the change in orientation of the hips (slip to the inside with the low block hammering the groin). The sequence is completed by the oizuki, which manifests as a reverse punch, a replacement step lead punch or a takedown. This explanation does not touch on the potential expressed by playing with mechanics such as turning the hips into the block (moving the mechanism of the original change in orientation to the final gedan barrai technique), playing with the three timings (before, during and after) or reversing the movements, all of which I feel are key to understanding the full potential of technique, and why I favour deep study like this for simple training forms rather than fighting forms that layer higher concepts into the technique sequences. "In freeze-frame, it would look like cat-stance facing west, hips square, torso facing to the west." To me, the "cat stance facing west" is not an evasion. Whichever direction you do this movement (ie. if the attack is coming from the front), you're still directly in the line of fire. You've made no evasive (offline) or wedging (centre line) entry whatsoever. "As the movement continues the hips turn as the step continues. The hips finish facing north-west,"
I appreciate this is all "one move" but your hips have gone from facing the attacker to facing offline - and have done so at the very end of the movement. This little turn of the hips is, in my experience, totally insufficient to effect either a centre line entry or an off line evasion. Essentially, your approach relies on stepping into the attacker, hips square, then belatedly turning your hips "northwest" (ie. a slight angle) and using that slight hip turn to power a downward block - against a full power kick? If it works against a front kick (which it can't) it certainly won't work against a roundhouse (and let's face it - most kicks from street attackers have a slightly roundhouse "soccer" quality). 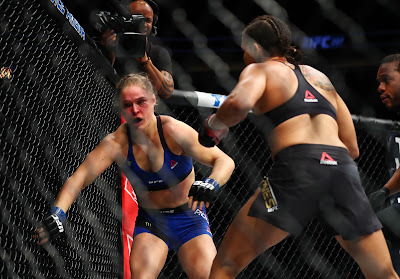 "Driving out into a natural stance width gives enough lateral shift to slip an attack, (slipping to the outside covering and striking simultaneously the chamber motion before using the sweep action to drag the opponent off balance), but it is accentuated by the change in orientation of the hips (slip to the inside with the low block hammering the groin)." I disagree. It is not nearly enough. You need to use the step to assist either in the centre line wedging - moving deep into your opponent with your hips turned much more than the little hip turn your method employs - especially when facing such a powerful kick as a front kick, or you need to move off line with the step. In short, a little hip turn is not sufficient to deflect a committed kick. "You state that the wedge would be applied to an opponent to the front, meaning you go from naturally forward facing to side facing in the technique: the same pattern as I perform by incorporating the change in orientation before execution of the block"
Actually, the move is very different, because while I start facing "hips forward", I turn my hips sideways as soon as I start to step into my opponent - driving a wedge into him/her as soon as physically possible and using the step to do it. I don't assume a cat stance, step into a zenkutusu dachi, and only then turn my hips a little. Bearing in mind the speed of an attack like a kick and natural reaction times, you will be intercepting the kick as you are starting to move - not as you finish your step. Accordingly my view (and direct experience trying to apply this) is that you have to drive that wedge from the get-go - not go through cat stances and forwad facing zenkutsu dachis. In short, your hips can't be facing your opponent as you step. They need to turn at the same time as you begin to step. Anything else courts disaster imho. (b) then turn your hip into the attack. The kata does the chamber as you reach and the block with the turn into the attack, but this is because it also facilitates the jun kaiten evasion option (moving away off line with your back foot). Really, nothing prevents you from executing the block as you reach, and your counter as your hips turn into the attack. This is the point of my whole article and what I mean by "stem cell" analysis. Thanks again for the lively debate! Clearly we will have to agree to disagree on this. When it gets to the point that you tell me things that I have done cannot be done (as regards to evasion) there's no where else to really take the discussion. I respect your knowledge and your experience, but it strikes me you are seeking to make differences where there are none, e.g. "In short, a little hip turn is not sufficient to deflect a committed kick." We weren't deflecting a kick we were jamming one at source. "I don't assume a cat stance, step into a zenkutusu dachi, and only then turn my hips a little." I don't do that either, I move in the same manner as you, I just don't snap my hips square afterwards. The reference to cat stance was simply a visual aid, not something I aim for nor had it ever occurred to me before thinking of how to describe my movement. In solo practice the hip movement would be smaller than in application, but we fit our technique to combat not the other way around. The point is that the principle is present. Kata are not applied literally as you readily acknowledge. If our approaches were so different I wouldn't have been able to independently arrive at similar application concepts all of which I have been able to apply. "Essentially, your approach relies on stepping into the attacker, hips square, then belatedly turning your hips "northwest" (ie. a slight angle) and using that slight hip turn to power a downward block - against a full power kick? If it works against a front kick (which it can't) it certainly won't work against a roundhouse (and let's face it - most kicks from street attackers have a slightly roundhouse "soccer" quality)." Ignoring the already addressed erroneous interpretation of my form, why would I use my hands to block a kick? Especially a low one? In your own video example your head was so open that it is the perfect highlight as to why not to block low round kicks with your hand. I've honestly not attempted this in years so I can't comment as to the effectiveness other than to say I have seen it done. But we weren't deflecting a kick we were jamming one at source. Incidentally doesn't turning into the block necessitate a preload for the oizuki? Anyway, I am happy that you feel the method you were taught is correct. It is not for me as I feel it leads you down some rather shakey ground and misses many functional applications that combine the body movement, footwork and the hand movements into an excellent foundational grounding in combative movement for evasion and entry. I think in essence the two approaches are largely the same, but of course I wouldn't expect my belief to sway someone else from the evidence of their experience. Good discussing with you Dan. "We weren't deflecting a kick we were jamming one at source." The "jam" here is done as a "wedge"; we're not opposing the incoming force head-on. We're cutting in at an angle. This necessitates adjusting the angle of your body in an economical and timely manner. I discuss in my video and article how the only way to enter quickly enough is to reach the leg in - not throw the whole body. The sideways entry is necessary because it is fast enough and essential to avoid the direct force of the kick. "In your own video example your head was so open that it is the perfect highlight as to why not to block low round kicks with your hand." Do you mean that my head was open to a kick or counter punch? If you mean kick, well the reach can lower you to avoid it - requiring very little adjustment to modify the hand technique. If you mean punch, you're overestimating the ability of a kicker to suddenly recover from a committed, though thwarted kick - and forgetting that I am well aware of the "openness" and can easily predict (and exploit) the obvious follow up. It's the old "you're lowering your guard" issue I've addressed in my article about the "ridiculousness of blocking kicks with low blocks". I won't say anything more here other than such blocking works. However one does need proper tai sabaki to make it work, which is my point in this article. "Incidentally doesn't turning into the block necessitate a preload for the oizuki?" Neither applies to my suggestions. If you do the "wedge" entry, the hip "opening" powers a deflection/entry. The hip "closing" powers the counter. If we assume an attack from the front, I would not move into my opponent's kick with my hips "square", then "open" them just as my front foot lands. Why? Because I'd be leaving the "opening" far too late. To be effective, you need to open the hips at the very start. Assuming a reaction time of around 0.2s and the fact that by then the kick will be at least 80% of its way towards you (giving you about typically +/- 0.05s breathing space before you're hit), this is the only thing you can do for a "wedging" entry. To do otherwise is to hasten the point of impact (ie. reduce that 0.05s buffer to zero). However if your first movement is to twist your hips so that you present a "thin edge" and you simultaneously move in to your opponent, you have a chance of cutting a very fine line into your attacking kick - whether you deflect, wedge or jam, etc. (c) "close your hips" again to throw force into the counter punch! If you're side-on and your entry requires you to be side-on, just stay side-on and reach in! Don't turn your hips into the attack first just to take them out again! You don't have time for that! Thanks again for the intelligent debate David! Dan, the initial turn is not part of the wedge technique. it is a counter to your opponents attempt to flank you. You move in response to his movement, the tactical principle being to keep enemies in front of you and not allow them to gain positional advantage. Once we let the opposition know that they can't out position you, Then the attack comes. Opening the hips is a means of translating power from the driving foot to the sweeping action of the block. if the block is completed at the point the foot lands and the sweep is powered by the driving action then it stands to reason that the technique and thus the hip turn must begin with step. 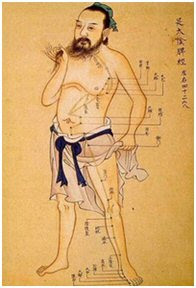 It is a whole body technique and performed for the most part as it would be in application. Where I think we differ is that I drive my weight into the opponent to wedge as opposed to sinking and extending the foot. I feel that this is more in keeping with the thrust of the form while sinking is more of a side point of heian nidan (pinan sho). I note your objection re speed but we are dealing with short range fighting so less distance to cover (perhaps as well as load against the technique the increased distance of the kick is load training the body shift) and relying on near preemptive skill anyway in order to cut off a developing attack. It is the same concept expressed in the age uke's and in my view thematic (though still secondary) of the form. dFor the record I have no real problem with using the hands to block kicks in that I know it can be done but nothing is as cut and dried as always good or always bad. That being said I do think that there are better uses of gedan barrai and I tend to try and avoid it myself. "Dan, the initial turn is not part of the wedge technique. it is a counter to your opponents attempt to flank you. You move in response to his movement, the tactical principle being to keep enemies in front of you and not allow them to gain positional advantage. Once we let the opposition know that they can't out position you, Then the attack comes." I can't agree. If it were a turn towards your opponent simpliciter the block wouldn't happen with the turn and step. Instead, it does. The turn is accordingly not just a "turn to follow the opponent". The turn is a step. But for the embusen, there might be no turn – only a step (eg. if you did it forward. The turn is therefore a red-herring. It is the step into your opponent that counts. "Opening the hips is a means of translating power from the driving foot to the sweeping action of the block. if the block is completed at the point the foot lands and the sweep is powered by the driving action then it stands to reason that the technique and thus the hip turn must begin with step. It is a whole body technique and performed for the most part as it would be in application." I agree. It accords with my view that the step (with its indivisible "turn" in the kata) is part of the block – not a separate "following" of your opponent preceding the attack. You say that the hips drive a "whole body technique" and I agree. The problem is, there are 2 ways of doing this: jun and gyaku kaiten. You seem to be starting with one (jun) and finishing with the other (a "northwest" gyaku). All with one step. There should be one hip technique for one step imho – not two. "Where I think we differ is that I drive my weight into the opponent to wedge as opposed to sinking and extending the foot." "Driving your weight" is a great idea – provided you don't drive it straight into the full force of a kick! You simply can't commit such a "straight drive" and rely on a small "northwest" gyaku kaiten at the last second. You simply don't have time. 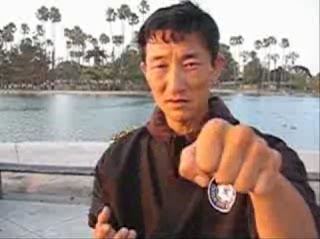 "I note your objection re speed but we are dealing with short range fighting so less distance to cover (perhaps as well as load against the technique the increased distance of the kick is load training the body shift) and relying on near preemptive skill anyway in order to cut off a developing attack." I can't agree. To me, range is not the issue: there is only one range for kicking. If a kick is launched out of range, I am going to avoid it, preempt it, run away from it... etc. I'm only interested in doing a gedan uke against a kick launched at a short range – ie. where it can land heavily and without any "stepping up" or extra movement needed from my opponent. Otherwise, like you, I'd avoid it completely. It is precisely in a closer "melee" range that you might have to use a gedan uke (as the kata shows) – this is particularly so if you are caught by surprise (a real issue in civilian defence, though not in dojo karate). In that case, you don't have time to "start stepping into it with your hips square, then turn them at the moment of impact with your block". Evasion (be it forward or offline) requires greater setting-up! And you need this evasion to make the gedan uke work! Hi Dan, sorry for the delay in replying to you. There are a couple of points I wanted to make. Firstly I checked Karatedo Kyohan. The description of heian shodan supports my practice quite litterally. I contrasted the description with that in Tekki sho and we find a solid difference between the description of a turn and step forward and a side step. I would suggest that your slide out and twist version is the modified method, probably as a result of someone being taught to sink as the first part of any reception. It's not the first time I've seen a solid guiding principle revise core technique and thus dictate variations in strategy. However, when historical record offers no support for a given method, far from invalidating the idea, I feel it highlights the wealth of variety of workable technique that are possible when one understands the key constants of combat. I note your disagreement about the initial turn I make to the west. The thing is the form and it's movements are layered with potential and as we turn them around under the light new facets emerge while others disappear. I continue to reiterate the fact that this kind of wedging application is secondary to me precisely because it is distinct from applications that derive from analysis where the turn is considered intrinsic. You state that if it weren't for the embusen there would be no turn, that the step out is all important, but if that were true why not begin the kata going forward? The reason is that there is a component of this initial technique that is turning to the side and it has tactical purpose. Also I can see where you get your application but really it is a massive stretch away from the mechanisms that your execution of the form practices. Your form has you turn into your low block in front stance, powerful but requires a reload of the hips to punch: your application has you executing the block in something halfway between a back stance and a horse stance, practiced repeatedly to the side but to be executed to the front. You are powering the arm movement by turning the body away from the technique, in complete opposition to your practice. The turn into the block you use to power your counter punch, but that leaves you with a whole oizuki to apply, and if your counter punch is your oizuki application then you are skipping the whole hip turn into the block. I can see how you derive the movements but some, like the side step that's really a forward step, are just a stretch too far for me: everytime you drill the kata you are training a different set of movements to those when you drill its application. IMO if the one doesn't complement the other then one of them is wrong. As I've mentioned to me it's like you are trying to force heian nidan principles into Shodan and missing the point of shodan. The points you make about my form eg the small hip turn etc I've covered already (whole body movement etc) and all else are arguments about someone else's kata, ie someone who sees the wedging application as connected to the initial change of orientation (as stipulated by the originator of the style that owns this particular version of the form), as opposed to myself who views it as a change of orientation. Thanks for your time, it has been a good debate. "I checked Karatedo Kyohan. The description of heian shodan supports my practice quite litterally. I contrasted the description with that in Tekki sho and we find a solid difference between the description of a turn and step forward and a side step." It is important to note that when I do the move quickly, you don't discern any difference between my approach and yours. Being aware of the detail does not change the actual performance. Here I am highlighting the "sink" as a stem-cell development, not saying it is "the way to do it". That would be to convert the stem cell move into one option. My view is that you have to go through the reach (however quickly) to get to the turn. This might not be so visible in Karatedo Kyohan, but my recollection of that book over the years (and I haven't got it in front of me now) is that it is no more inconsistent with what I am saying than how photographs of my own average dojo practice might look. What is inconsistent with my understanding is that version of the kata with gyaku kaiten embedded in my article. That "hip one way, then the other" is not how I recall Funakoshi doing it. It certainly isn't how his videos show him doing it. "You state that if it weren't for the embusen there would be no turn, that the step out is all important, but if that were true why not begin the kata going forward?" Precisely because katas move left and right all the time. Xingyi is one of the very few systems I know where you only move forwards and back. Why start to the left? 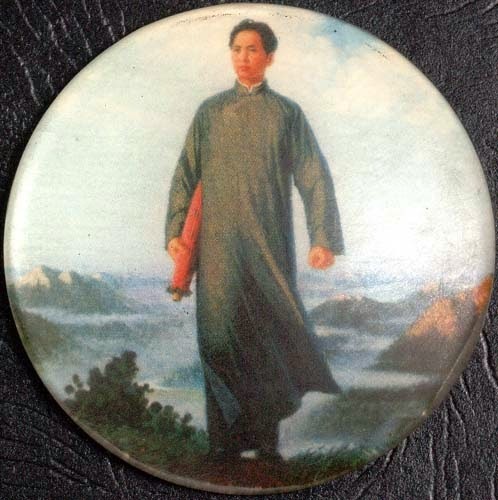 No particular reason: But the standard kata turns will lead you left or right sooner or later, unless you adopt a xingyi-like platform. And even there, you have to turn 180 degrees to go the other way. Whether you turn 90 degrees or 180 or 270 or any way doesn't matter. But if you are turning left or right, you might as well use your hip logically. My personal view is that it wouldn't start straight forward as this would require a beginner a lot more coordination than a natural turn to the side which automatically turns your hip into your opponent as you step. You get the lesson "for free". In this context I can't understand why anyone would throw in the little "northwest" turn (which is too little and far too late to be of any motor learning use) and ignore the initial hip turning into the attack (which necessarily happens when you turn around - the only issue is whether you choose to use it as part of the step and block, or whether it simply precedes the whole thing and is "wasted" as part of a "follow the movement of the attacker" concept. "Also I can see where you get your application but really it is a massive stretch away from the mechanisms that your execution of the form practices." I have already said that this "gyaku kaiten" wedging application encapsulates the highest level of "advancement". I don't expect a beginner or intermediate student to use this. I expect them to use the off-line evasive movement with a jun kaiten. There are multiple layers leading to the most advanced layer. That the most advance layer is seen as a "massive stretch" is neither here nor there for me. It must however be accommodated in the move. The SKI "innovation" of the hip one way, then abruptly the other is, imho, an attempt to make a stem cell move "literal" in a way that robs it of the higher application, does not accord with history (as seen in the video above) and isn't practical anyway. As to heian nidan, remember that it used to be pinan shodan. The katas are equally junior and the principles should be consistent (though not the same). The "hidden" possibilities in heian shodan are quite consistent with heian nidan, and so they should be imho. Thanks for the interesting and informative debate. I might add that, at best, the performance of heian shodan in Funakoshi's video I've linked in my previous comment is rather wooden and the hip isn't be utilised much. But I see this as a possibly a function of simplification/dilution for the masses of Japan. In other words, the best use to which one can put that video against my view is that the practitioner is barely using the hips at all. But at least he is using them a little in the jun direction. And he isn't suddenly reversing the hip to a "northwest turn" at the very last second. There isn't a hint of that. The slightly narrow stance is just that - it isn't a hip turn. 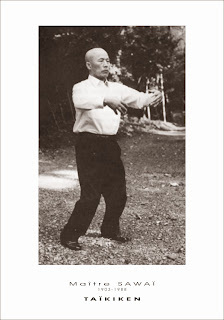 The practitioner only does one hip movement - and that is the hip turn into the attack (jun kaiten). I might stress (in slow movement) a "reach" before I turn and block. And I might show how (in advanced use) I might even employ the block with the reach (instead of with the jun kaiten turn). But, as I say, done quickly you don't notice any real difference other than the fact that my hip is being flicked a bit more powerfully into the block than the fellow in Funakoshi's video (is it Yoshitaka?). In fact, my kata is pretty much the same in hip use from that of Enoeda Sensei here (see in particular the "reach" visible as he steps north). As this seems to have been standard shotokan method, reflected in similar such shorin kata as fukyugata ichi of Shosin Nagamine (with which our own heian shodan is now "combined"), I conclude that the addition of a gyaku kaiten (as shown in the video embedded in my main article and done by people like Kanazawa) is the modern innovation, and not the other way round. Hi Dan, reading your article brought up a question I pushed to the back of my mind a long time ago. On the few occasions throughout my life where I've taught basic blocks to beginners, I've generally taught them to block with the reverse arm. But several times when I've been demonstrating, I catch myself executing the technique with the leading arm. I always thought it was more logical to use the reverse arm (to evade as you deflect, or to generate more force with your hips as you punch), yet for most of my kihon I reverted to leading arm techniques. For a long time I've wondered why that is, and I suspect the answer is long and complex. Are beginners taught to use the leading hand because it is more "basic" and teaches fundamental skills? Are reverse-hand techniques more "advanced" in their obvious applications? As a general rule, your blocking arm is whichever is closest to your attacker because it needs to intercept the attack early. If you are evading backwards, this will probably be your lead arm. If you're evading forwards off line, it will probably be your reverse arm! See my kata "jisui" on youtube! Kata techniques as "stem cell movements"